Proper paperwork is the key to running an organized business. American Digital can print professional business forms and the NCR forms your business needs. 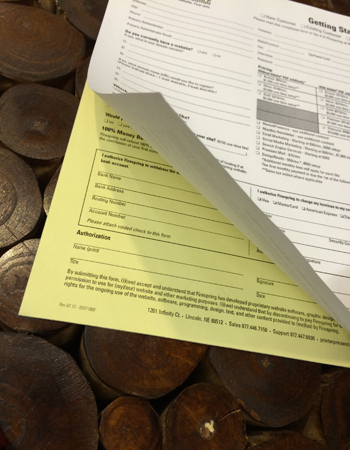 Our NCR printing capabilities allow us to create carbonless forms (half page, full page, legal, 2-part, 3-part or 4-part), continuous forms, perforated, sequential numbering and backside NCR form printing to go along with customized sizing and booking/binding. Call us at 610-337-8722 and we’ll get started on printing your next form.